Australia has thrown its wickets away late on day three with India’s bowlers tearing through Australia’s top order, Usman Khawaja and Tim Paine tasked with leading Australia on day four. The home side finished day on 4/132 after a spirited fightback in the final session from the tourists, with Khawaja finishing the day unbeaten on 41 and captain Tim Paine unbeaten on eight. 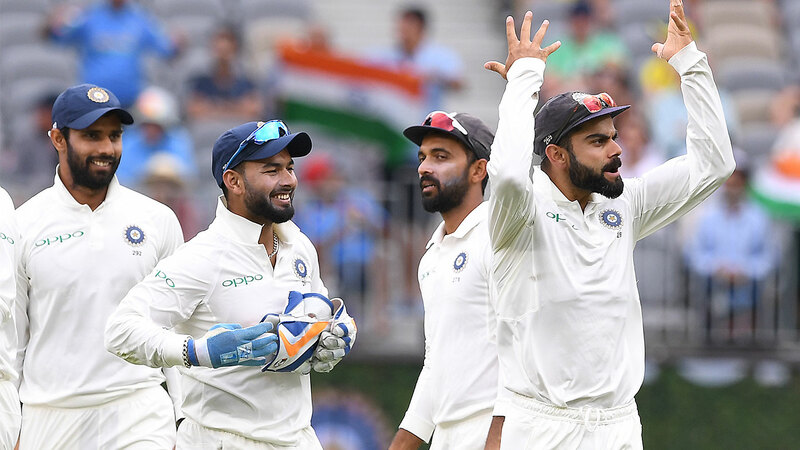 India’s quicks dominated the final session on day three with Ishant Sharma and Mohammed Shami leaving an impression on Australia’s batting order after opener Aaron Finch left the match injured. 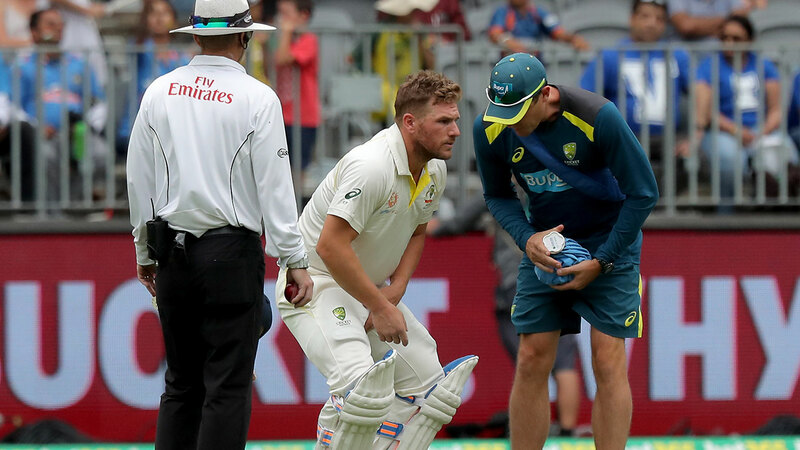 Finch was on 25 when he was struck on the glove by a Shami delivery, and sought immediate medical attention on the ground. The 32-year-old was in obvious pain and struggled to move his right index finger. He was driven away from the ground to have X-rays on his finger, before Cricket Australia cleared the veteran of any serious damage. However, still unlikely that Finch returns to bat in Australia's second innings. Marcus Harris escaped injury after being hit on the helmet by a 142.5 km/h ball from Jasprit Bumrah earlier in the session, but succumbed shortly after when he misjudged a delivery from Bumrah which careened into his off-stump. After the dismissal of Harris, India ramped up the pressure, which saw Shaun Marsh and Peter Handscomb dismissed in quick succession, before Travis Head perished in a similar vein to his first-innings dismissal by finding Ishant Sharma at third-man off Shami's bowling. Earlier, India skipper Virat Kohli scored an outstanding century but it all ended in controversial fashion as India were bowled out for 283. Kohli smashed Australia's star-studded attack to bits with a knock of 123. But it all came to an end in the penultimate over of Sunday's morning session, with his dismissal at the hands of Peter Handscomb being reviewed. It was eventually decided that there wasn't conclusive evidence to overturn the on-field call and reprieve Kohli, who clearly thought otherwise as he trudged off Optus Stadium without acknowledging the crowd.